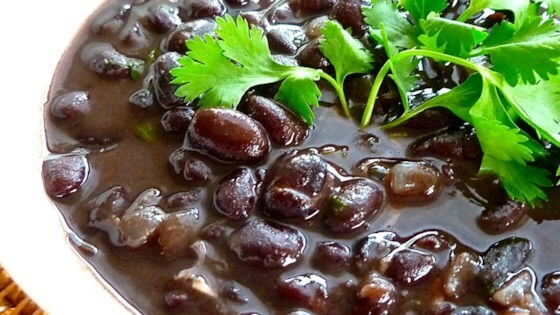 In a medium saucepan, combine beans, onion, and garlic, and bring to a boil. Reduce heat to medium-low. Season with cilantro, cayenne, and salt. Simmer for 5 minutes, and serve.